Grizzly Bear ruled the indie music world throughout much of the mid-to-late aughts and early tens. The California-by-way-of-New York-based four piece found themselves comfortably nestled on a variety of playlists and soundtracks, infusing the world of pop culture with their unique blend of sonic sanguinity and lyrical self-awareness. Albums like 2007’s Yellow House and 2009’s Veckatimist shredded the band’s folksy image, presenting them as a genre-bending tour-de-force capable of more than what was at surface level. 2012’s Shields, an album whose creation process was, according to lead singer Ed Droste in an interview with SPIN, an “arduous, beating-your-head-over-and-over thing.” In that same interview, vocalist and guitarist Daniel Rossen said that a lot of the ideas on Shields ultimately felt forced, and that it was hard to get to an endpoint. So, Grizzly Bear dissolved for a few years. It wasn’t a “breakup,” or even a hiatus, really; more so a general disconnect from the existence of Grizzly Bear all together. Each member of the band (Droste, Rossen, drummer Chris Bear and producer/bassist Chris Taylor) made substantial changes in their own personal lives. For five years, Grizzly Bear sought necessary personal respite rather than forced musical creation. In a way, they came into their own, then out, and then back in it; now, arguably stronger than ever. Now in their 30s and removed from the routine malaise (“Two Weeks,” anyone?) of their past, Grizzly Bear have returned, and are, somehow, all the more impressive. 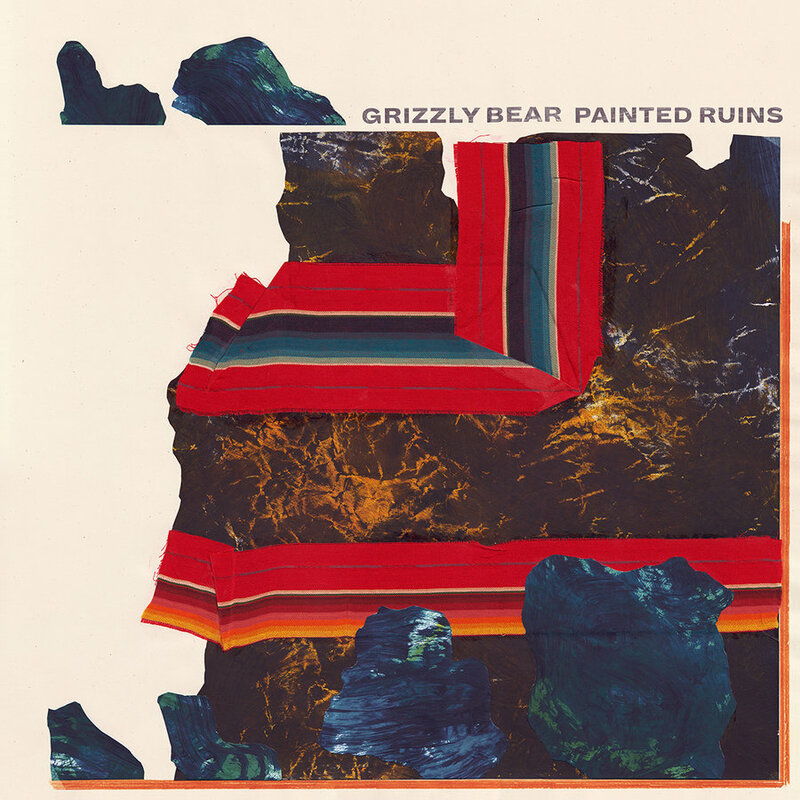 The group’s fifth studio album, Painted Ruins, was released on August 18 via RCA Records, and reintroduces the world to Grizzly Bear in a way that is cognizant, melodic, and achingly enchanting. Painted Ruins standardizes the new norm of what is to be expected following an extended break from music; it is a sweeping achievement for a band that has already achieved quite a bit throughout their illustrious 13-year professional (but 15-year total) career. Painted Ruins takes form over function, elucidating a world imperfect yet magnetic. The eleven-track LP is noticeably democratic, allowing each of the members’ unique styles to shine throughout. It makes sense, too: the band is self-described as such, thanks in no small part to their seamless chemistry amassed over 15 years of friendship and musicianship. Grizzly Bear operates as a unit, subsequently allowing their complex musical prowess to feel effortlessly achieved. “It’s chaos, but it works.” Or, so says Rossen on “Four Cypresses.” This lyric, in its simplicity, seems befitting of Grizzly Bear as a whole. The group’s frenetic instrumentation — on Painted Ruins and elsewhere — is a chasm of complexity, involving a variant of sounds ranging from flouncing guitars to echoing synths to dramatic percussions. It is all the while seamless, as both Droste and Rossen’s silken vocal prowesses definitively illustrate each accord. Aural democracy at its finest. Throughout their career, Grizzly Bear has never shied away from wearing their heart on their sleeve. The band manages to be entirely emotionally transparent and sympathetic towards others, simultaneously defining love in their own terms and reaching out to those who feel similarly. “Three Rings,” the very first single from the album — the one that officially welcomed Grizzly Bear back into the ether back in May of this year — does exactly this. The song emotes a longing desire, as Droste says, “I wanna show you my bad side, I wanna be the guy who’s right,” before asking, “Don’t you know that I can make it better?” The song itself, according to Droste, describes both the past and future of two separate relationships. It is a dichotomic longing, concurrently romanticizing the past and entertaining the possible future. Grizzly Bear’s creative process can be described, in a word, as intense. The group is known to work, and then rework, and then re-rework tracks until they achieve the closest thing they feel is perfection. “I have lost all control,” Droste notes in “Losing All Sense.” It isn’t necessarily meant to reflect the band, rather the feelings of falling into a new relationship, yet it feels strangely apropos nonetheless. Life is meant to be perfectly imperfect, no matter how hard one tries to be otherwise. Maintaining acute self-awareness is, arguably, Grizzly Bear’s trademark. The quartet attempts to work through their inner dialogues throughout their songs, and this is furthermore proven through “Aquarian” and “Cut-Out.” The former addresses not quite succeeding in reaching an end goal, while the latter acknowledges that a “panorama of […] faults / looks the same...” Everything is subjective. The knowledge you can’t win with what remains. The band has an inimitable way of allowing their lyricism to complement their instruments, and vice versa. Nothing is supplementary; the song would not wholly exist without the other. The vocals, moreover, regardless from whom they’re supplied, are often an instrument in and of themselves. “Glass Hillside” tackles this idea in an almost Beatles-like fashion; the group’s harmonies take on a life of their own and, at times, take precedence over the rest of the song’s instrumentation. Yet again (sorry, more Grizzly Bear puns), the group’s decade-and-a-half-long chemistry is on full display. Droste and Rossen have historically been the Grizzly Bear’s main vocalists throughout the band’s existence. The Chris’s, Bear and Taylor, have respectively contributed to the group through arranging, production, and lyricism, ultimately sealing the deal for Grizzly Bear’s democratic collaboration. On “Systole,” however, producer/bassist Chris Taylor takes full control; from the lyrics to the vocals. The track, a definitive shift from Grizzly Bear’s folksy breeze, introduces a more tactile sound. Taylor takes a visceral look at vices and one’s relationship to them, firmly stating in the chorus that “there ain’t nothing wrong.” Though different from Grizzly Bear’s “traditional” formula, it is a welcomed departure that adds further depth to an already dynamic band. Who I am beneath the surface? Every day I stay blind to it. Grizzly Bear are no strangers to the music industry. They have, in no small part, definitively shaped the musical sphere in which they reside, and rest quite cozily near — if not on — the top of their respective food chain. They have grown immensely since their 2004 debut Horn of Plenty, yet still feel comfortably familiar to those who know and love them. They are the band you always root for, regardless of how long or short they delineate from music. Through a much-needed break and subsequent self-discovery, Grizzly Bear are au courant as ever, explicating intense feelings with unparalleled élan. Painted Ruins was a five-year journey, but a worthwhile one nevertheless.